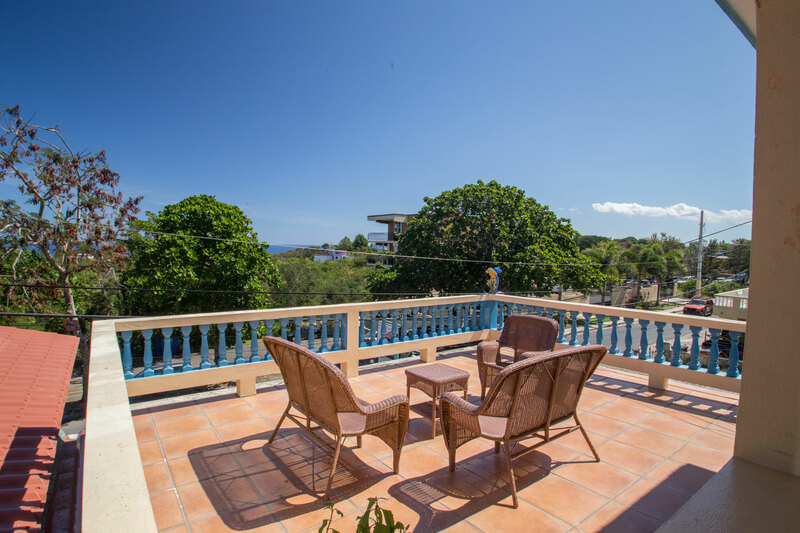 Rincon lodging with front desk service, management on property and a restaurant on-site. 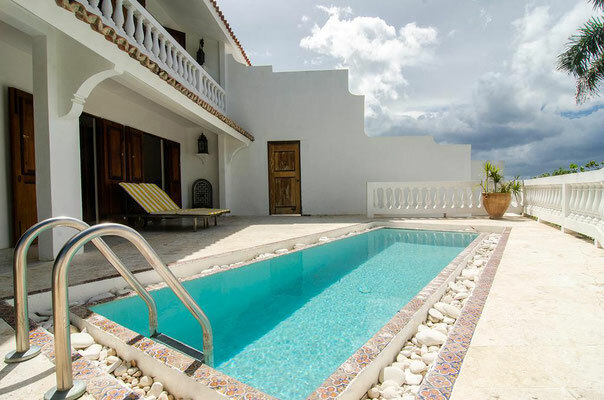 Casa Isleña Inn ''Island House" this once simple ocean font home, has been renovated with Spanish architecture and colors of the Caribbean. Once our guests enter the courtyard gardens, and gaze out onto the ocean; they immediately feel a sense of beauty and tranquility. 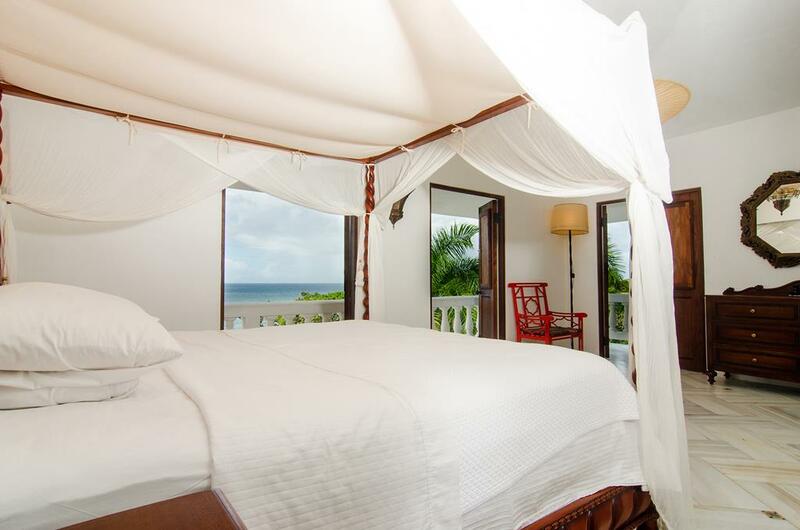 Casa Isleña Inn offers a casual elegance which is reflected in the design and furnishings in each of our nine rooms. 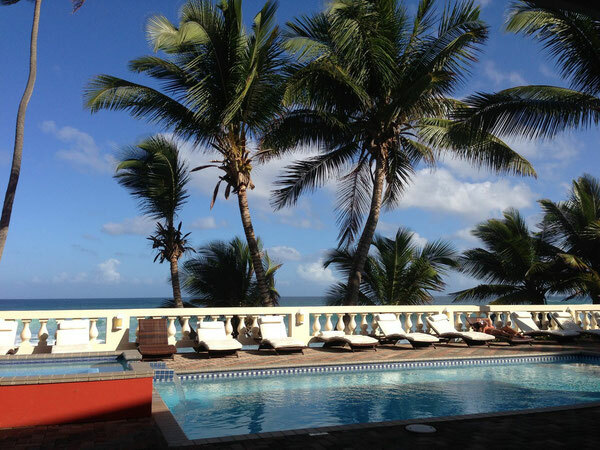 Our guests can relax by our oceanfront pool, or unwind with a morning stroll along the beach. 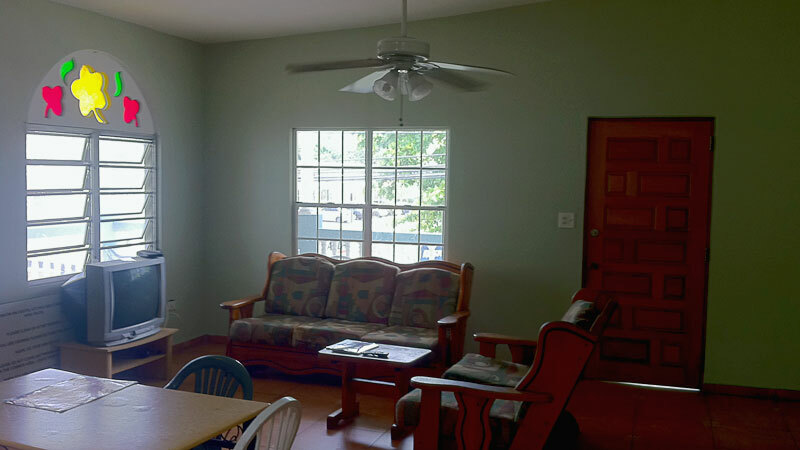 We are in walking distance or a short drive to local restaurants, bars and other popular attractions. 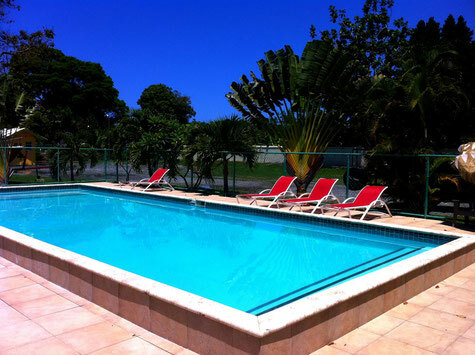 Casa Verde Hotel is the ultimate destination when heading to Rincon, Puerto Rico. 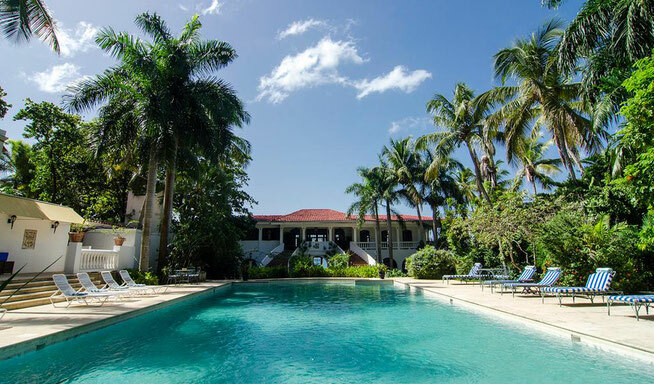 The hotel boasts 19 rooms, two restaurants, a swimming pool, volleyball court, FREE WiFi, off-street parking and is located across the street from Sandy Beach. One of the most acclaimed luxury resorts in the Caribbean! 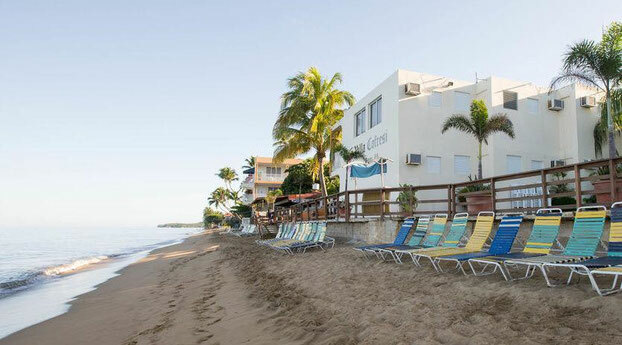 Moderate/Casual beachfront resort that is a favorite for locals and tourists alike! The Lazy Parrot Inn offers the best of everything Rincon has to offer. 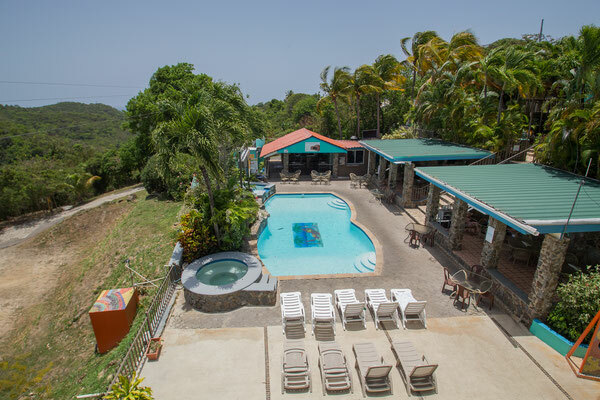 We're minutes from everything - but set into a spectacular hillside location that provides a relaxing country-style resort atmosphere - just 3 minutes from the hustle and bustle of Rincon's beaches. Accommodations include air conditioning, Cable TV, mini-refrigerator, private bath with shower and daily maid service. 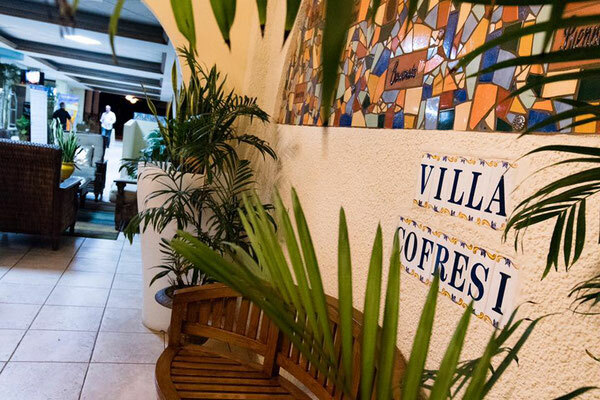 Our friendly staff has been welcoming beach lovers, surfers, divers, families, honeymoons and adventurous travelers from Puerto Rico, the Caribbean and all over the world for more than 20 years. 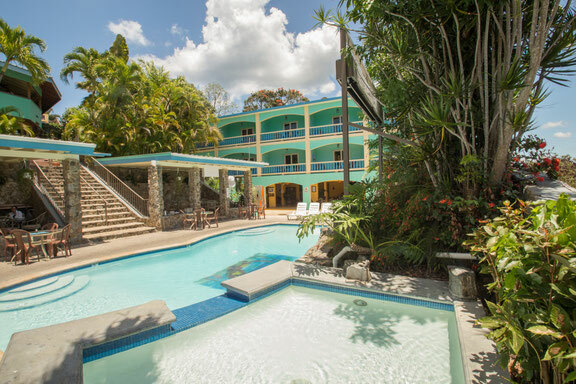 Welcome to the Rincon Inn hostel, a backpackers small Caribbean oasis. Throughout the year we welcome international travelers and backpackers from all parts of the world. Our hostel has a total of 4 rooms accommodating a total of 14 guests at maximum occupancy. 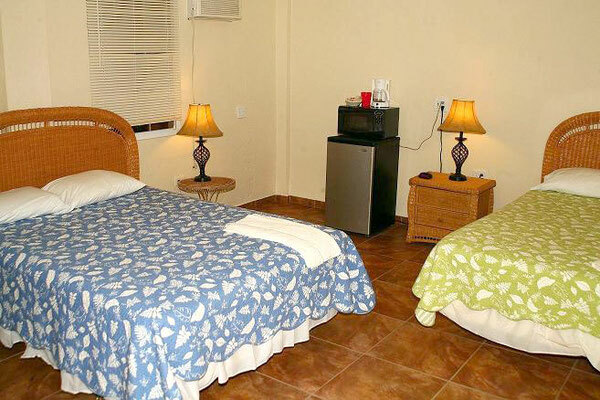 Each room has air conditioning and its own private bathroom and shower. 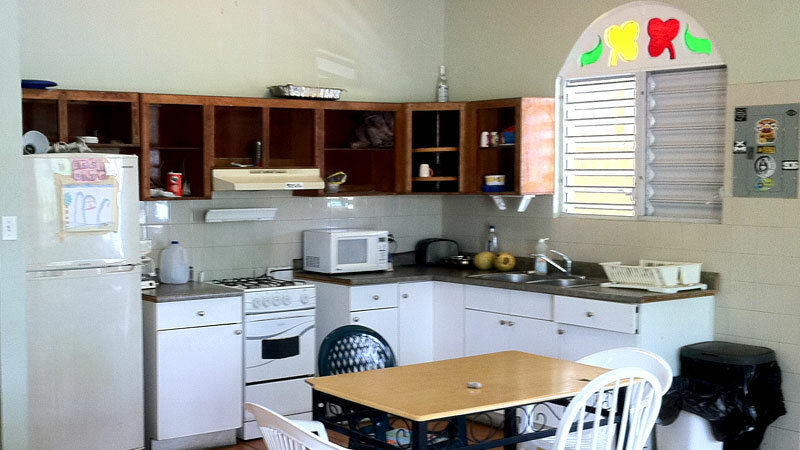 The hostel also features a full kitchen and large common area with a wrap around balcony. Staying in touch with friends and family is easy with our complementary wifi available in the hostel. Take a very short walk from our hostel to breath taking Caribbean beaches, grocery stores, bars, and local live entertainment. 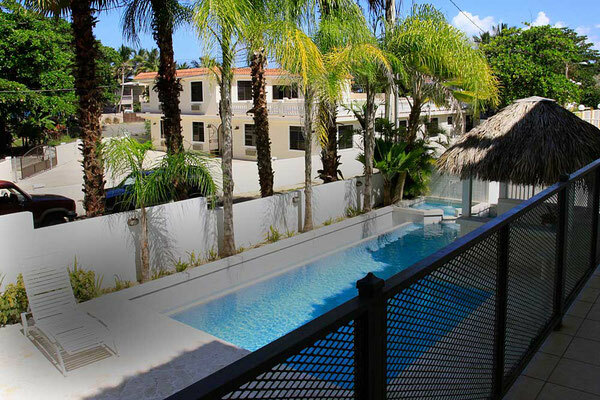 Take a dip in our pool, swap travel stories and relax in our outdoor patio after a long day of surfing. Welcome to the Tamboo Beside The Pointe Experience! 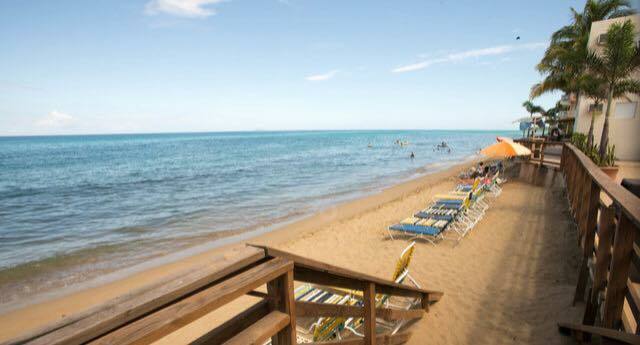 We are right on the beach, where you should be! 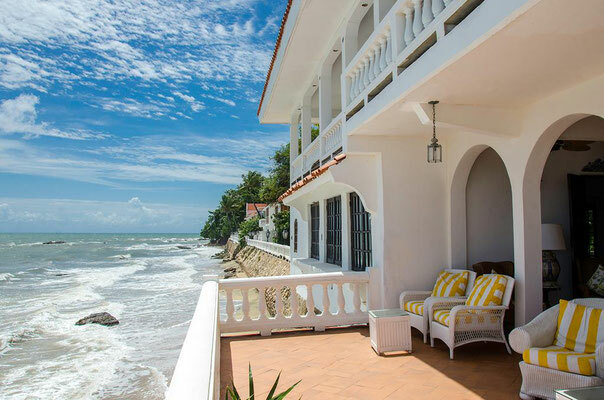 Rincon, Puerto Rico is the place to enjoy miles of pristine beaches, world-class surfing, whale watching, snorkeling, diving, wind surfing, or just relaxing on our beachfront deck. 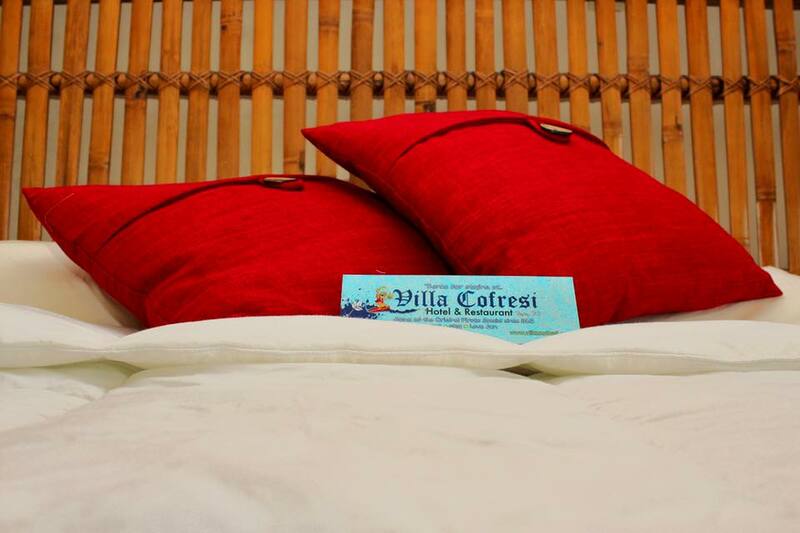 We offer the best in an informal island vacation. Our friendly staff is waiting to make your vacation a wonderful experience. 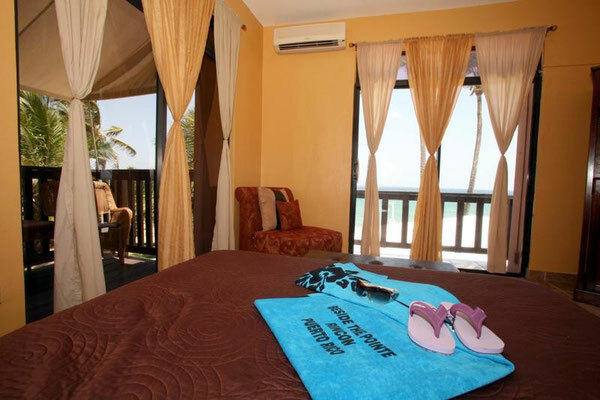 Our beach accommodations provide relaxed comfort in a casual tropical setting. 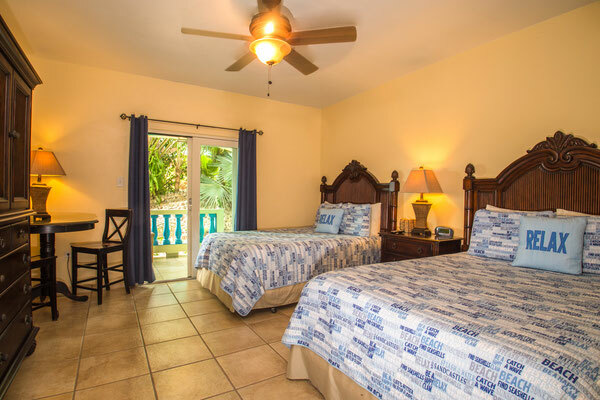 All our accommodations have air conditioning, cable TV, refrigerator, private bathroom, and our suites have fully-equipped kitchens. 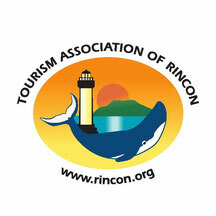 The official site for the Tourism Association of Rincon, Puerto Rico. Vacation Rentals, Activities, Art, Information and Businesses of Rincon.